“The Heaters” is a popular band name. There was a Danish garage rock band, a Seattle quartet (who shortened their name to the Heats), a UK power pop band, a punk band, a reggae group, a funk band, a Los Angeles new wave band that recorded for Ariola and Columbia, and more recently, a trio from Grand Rapids. 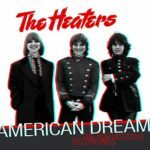 This Heaters is the Los Angeles group, one that felt their studio albums never really captured their sound. 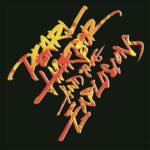 In frustration, they recorded themselves on a 4-track TASCAM Portastudio – home multitrack technology that’s commonplace today, but not so in 1983 – and doubled down on the nostalgic elements of their earlier works. In particular, the core creative trio of Mercy, Maggy and Missie wrote and recorded original, 60s-influenced girl group music. The tapes were offered to Rhino, but the label heard them as demos rather than finished product, and the group declined to re-record. Released more than 30 years later, you can hear both the label and group’s points of view. Wary of their previous experience with record companies, studios and producers, the group chose to protect the fidelity of their art. What the label likely heard was a tension between the group’s ideas of grandly imagined pop and the realities of producing yourself for the first time on a 4-track cassette. What Rhino failed to hear, or perhaps wasn’t interested in, was the group’s tuneful fusion of a DIY aesthetic with a deep appreciation for 1960s craft. Others (e.g., Denny Ward) had successfully explored this pairing on indie releases, leaving one to wonder why the Heaters didn’t do the same. What’s comes through loud and clear on these tapes is the siren’s call of the Blossoms, Crystals, Ronettes, Shirelles, Shangri-Las, Marvelettes and others. Several of the songs, including the beautifully crooned “Every Living Day,” could pass for vintage if their 1980s origins weren’t tipped by the guitars. The album’s centerpiece, “10,000 Roses,” borrows the iconic drumbeat of “Be My Baby,” and though its melody, lyric and vocal would have made the Brill Building proud, it’s slightly ragged mix is probably what Rhino thought could be tweaked. Still, even with the “oom-mow-mow” backing vocal popping out of the pocket, you can’t help but be charmed by the song and its Spanish-flavored acoustic guitar solo. From a vantage point on the West Coast, Jason and the Nashville Scorchers seemed to be an anomaly – a rock band from Nashville – and when they dropped “Nashville” from their name, the connection between Music City and native-born rock music grew even more tenuous. But the Scorchers turn out to be both the nationally known emblem of and an inspiration for a lively Nashville rock scene that was broader than the mating of country and punk. A less widely known darling of that scene was Raging Fire, whose mid-to-late ‘80s catalog is sampled for this 22-track anthology. Fronted by vocalist Melora Zaner, Raging Fire could pull back and give hints of their Nashville origins, but the band’s dynamic rock ‘n’ roll rage was more in line with the barking poetry of Patti Smith, post-punk of X and new wave studio sounds of the 80s, than southern rock or country twang. Even the band’s acoustic numbers, such as “After Loving One Man From East Texas,” have some bite. Had they been in San Francisco or Los Angeles, or five years later in Olympia, things might have been different; but as it played out, they attracted attention from record labels, but never closed a deal. Just before commencing a career in film scoring, Danny Elfman cut this solo album in 1984. The following year he would score Pee-Wee’s Big Adventure, and his career as a composer would quickly kick into high gear. 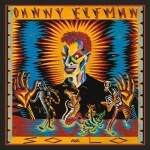 Elfman’s score for 1980’s Forbidden Zone suggested his future direction, but this solo album was more tightly connected to the sound of Oingo Boingo (who were in the middle of a two-year hiatus, and a change of record labels between Good for Your Soul and Dead Man’s Party) than his soon-to-be-developing ideas for film scores. Translator’s 1982 modern rock classic “Everywhere That I’m Not” turned out to be an ironic title, since it was itself everywhere. The record’s canny combination of an impassioned post-punk vocal, a singalong chorus and the rocket fuel of Columbia Records’ distribution network launched the single on both college and commercial radio. 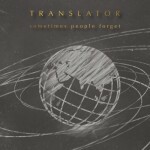 Translator formed in Los Angeles, but found their home on Howie Klein’s San Francisco-based 415 label, alongside Romeo Void, Wire Train and Red Rockers. The group’s debut, Heartbeats and Triggers, gained deep album play on college radio just as the medium was itself was gaining traction as a tastemaker. The band recorded three more albums, showing off talent and imagination that spanned well beyond their new wave breakthrough, but they never again caught the popular heat of their debut. This volume of demos is centered around that key year of 1982, collecting early, pre-LP material from 1979, and extending through tracks recorded at the time of their self-titled third album in 1985. Most familiar to most listeners will be the demos of “Everywhere That I’m Not” and its album-mate “Necessary Spinning.” Each is surprisingly finished in its attitude and arrangement, sounding ready for both the studio and stage. 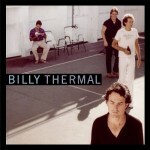 The former is among four recordings by the original trio lineup, waxed before guitarist Robert Darlington joined the band. The band’s first two demos, “Translator” and “Lost,” show how the band merged rock ‘n’ roll roots – rockabilly, surf and mod – with a harder punk delivery. By 1980 the group had grown into the quartet that would stay together throughout their four 1980’s albums, and regroup for 2012’s Big Green Lawn. If you read album credits, you might recognize this little-known band’s main man, Billy Steinberg, from the hit singles he’s written for everyone from Linda Ronstadt to Demi Lovato. But before penning “How Do I Make You,” “Eternal Flame,” “True Colors,” “I’ll Stand By You,” “I Touch Myself,” and “Like a Virgin,” Steinberg started a band, and named it after himself and the town in which his father owned a vineyard. Signed by producer Richard Perry to his new Planet Records label, Steinberg and his guitarist, Craig Hull, produced an album of original material that, save for “I’m Gonna Follow You” (which turned up on the Sharp Cuts compilation) failed to gain Perry’s attention. Released from their contract, an EP‘s worth of tracks (1, 2, 6, 8 and 10) gained indie release in 1982, but the rest was left in the vault. But even stuck in a vault, the material yielded results, as three of the album’s songs and one unreleased demo were picked up by other artists. Ronstadt took “How Do I Make You” to #10 in 1980, Pat Benetar recorded “I’m Gonna Follow You” and “Precious Time,” and Rick Nelson waxed a version of “Don’t Look at Me” for his last album. The seeds of Steinberg’s songwriting success were sewn, but like a lot of songwriters, his dream of making it as a performer was not realized. The album was sharply written, played and produced and today offers itself as a bridge between the power-pop of the Raspberries and Rubinoos and the punchy new wave of the Cars. It’s an album you might have found in a cut-out bin and proselytized relentlessly to your friends – Robin Lane & The Chartbusters, anyone? – and it’s an album you’d have wished was on CD. And now, finally, it is, and spiced with bonus demos. 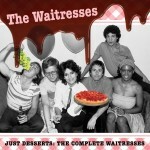 For those only acquainted with the Waitresses through media play, their career likely consists of “I Know What Boys Like,” “Christmas Wrapping” and “Square Pegs.” The first was their lone U.S. chart success, bubbling up to #62, gaining video airplay on MTV and becoming the band’s icon. The second charted in the UK, and its inclusion on the compilation A Christmas Record gained it additional turntable action in the states. 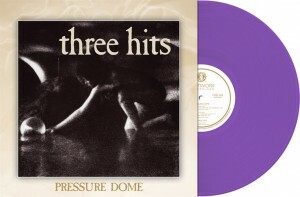 The third was the title theme for a short-lived television show that’s now become an ’80s nostalgia favorite, Their debut album, Wasn’t Tomorrow Wonderful?, almost cracked the Top 40, a follow-up EP, I Could Rule the World if I Could Only Get the Parts, and LP, Bruisology, bubbled under the Top 100. Commercially, that was just about it, a small catalog over a few years, which makes the band’s longevity in listener’s memories all the more impressive. The Waitresses grew out of an Akron, Ohio music scene that was spotlighted in 1978 by Stiff Records release of Devo’s “Be Stiff” and the multi-artist Akron Compilation. The latter featured three tracks by the Waitresses (“The Comb,” “Slide” and “Clones,” not included here) alongside several acts (Rachel Sweet, Tin Huey and Jane Aire) that would also get label deals. Songwriter Chris Butler was the engine behind both Tin Huey and the Waitresses, but vocalist Patty Donahue’s deadpan delivery gave the latter their signature sound. The Waitresses appeared on several more compilations (Bowling Balls from Hell, A Christmas Record and Bowling Balls from Hell II) and released “I Know What Boys Like” as an unsuccessful single in 1980 before stepping up to their 1982 debut LP. 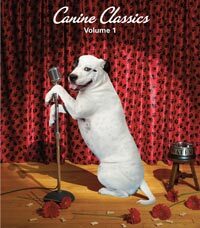 The LP showed Butler’s knack for writing in a 20-something female’s voice and Donahue’s convincing enactments to be a potent combination.